DescriptionBeautiful tinned candle, that can be used as a wedding favour or as tea lights for you wedding tables, with detail wrap and wooden heart on top. 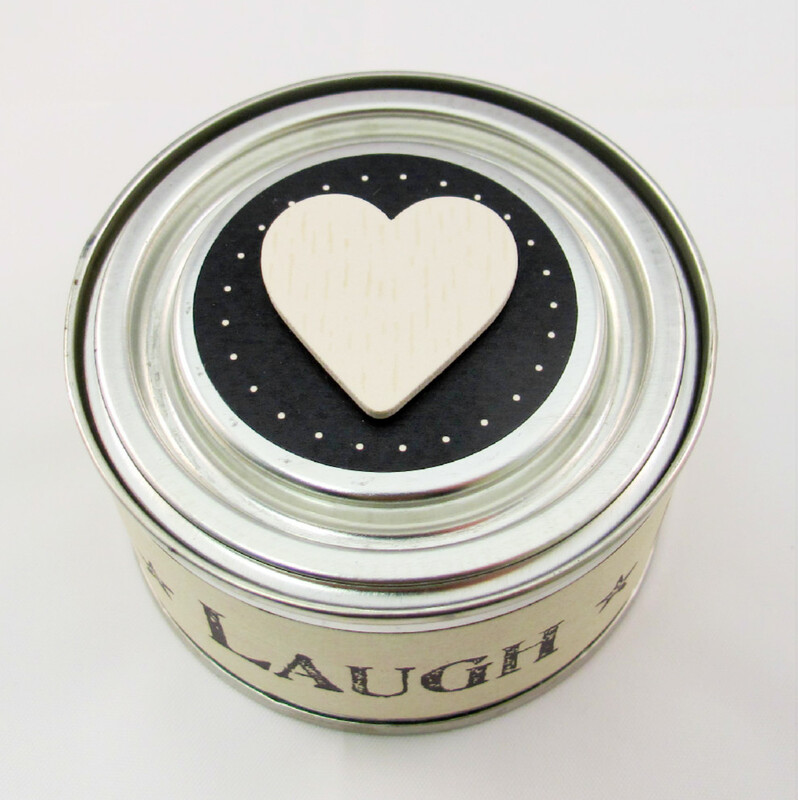 With a simple paper wrap, saying "Live Laugh Love". English Pear scented candle with a 14 hour burn time. Made by East of India. 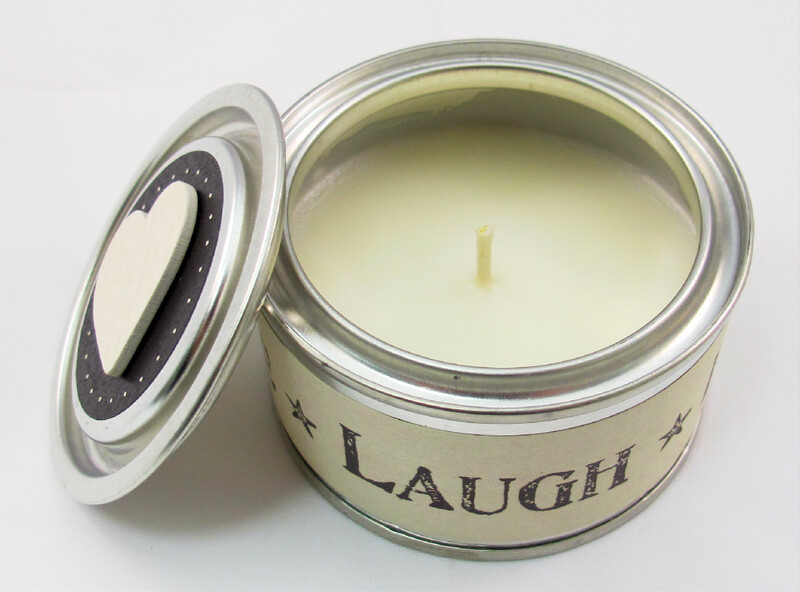 Beautiful tinned candle, that can be used as a wedding favour or as tea lights for you wedding tables, with detail wrap and wooden heart on top. 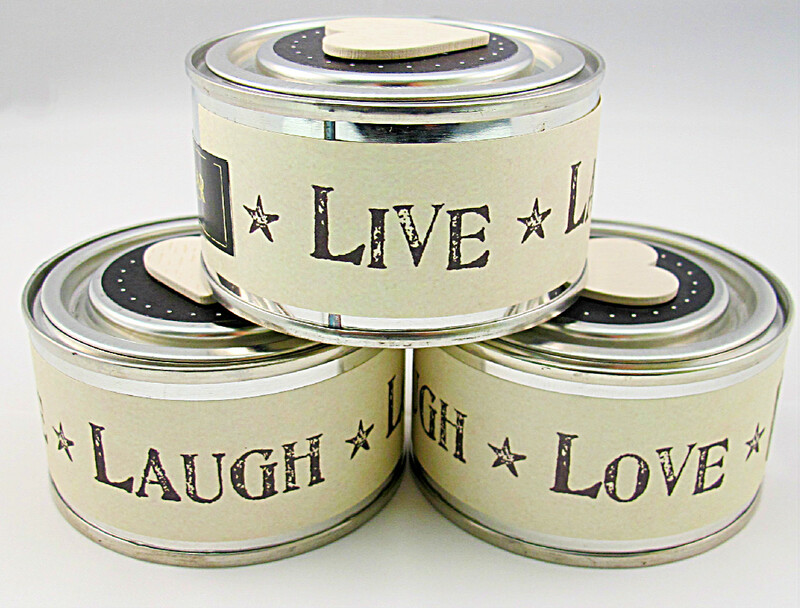 With a simple paper wrap, saying "Live Laugh Love". English Pear scented candle with a 14 hour burn time.